Back in days before removable fin systems were an option, surfers had to think long and hard about their desired fin set-up when ordering a custom board. From the 1930’s through the early 70’s, the fin set-up of choice was the single fin. In the late 1970’s, Mark Richards and other surfers made the twin fin the fin configuration du jour. Then, in 1980, Australian surfer and shaper Simon Anderson changed the course of surfing for weekend warriors and high-profile pros alike when he created the three-fin thruster set-up. Today, the thruster is easily the most popular fin set-up, with nearly surfer in your local line-up rocking the three-fin cluster. While the thruster has been proven to work exceptionally well in a wide variety of conditions, regardless of the skill of the surfer, it has also taken away from the experimentation that once characterized surfboard fins. Even with the ability to test out multiple fin shapes and configurations with removable fins systems like Futures and FCS, it’s uncommon these days to see single fins, twinnies, and bonzers sticking up from atop the surf racks of a vehicle as it zooms toward the beach. Instead, the stack of boards is almost always all thrusters, which is shame, since experimenting with different types of fins can bring a fresh feel to riding waves and allows surfers to experience surfing in completely new ways. There are some fin designs that are deeply rooted in the science of hydrodynamics, take various water flow principals into account, and are based on boat-building fundamentals. Others, however, come about from a deep curiosity and a desire to shake things up when it comes to surfing. 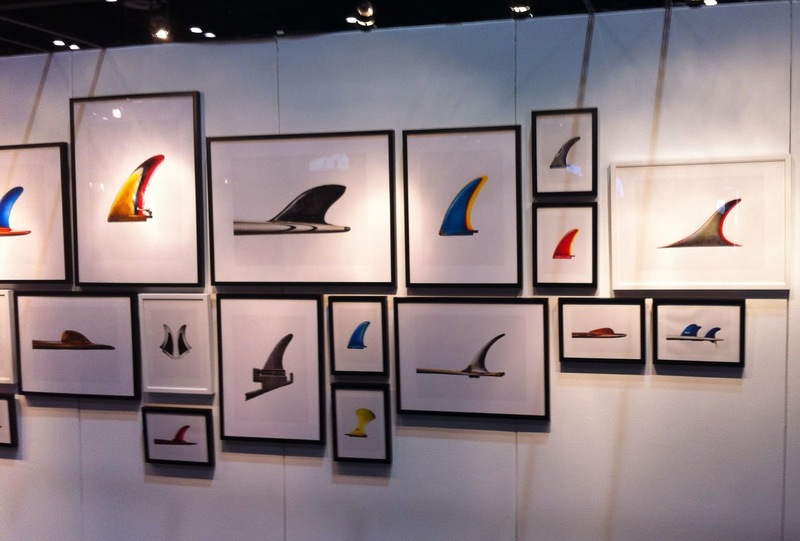 And when it comes to surfboard fins, there are tons of design elements that can be altered in order to create a new feeling on a wave – base, depth, toe, cant, sweep, rake, foil, flex, construction materials – changing even one of the elements just a little bit can mean the difference between a tight turning radius and vertical capabilities, or smooth, wide, arcing turns. The greatest thing about different fin designs and experimenting with them is that there really are no limits to what can be created and tested. The convenience of removable fin systems have really opened the door for exotic fin creation because the risks involved in trying out some weird fin designs and set-ups has been greatly reduced. If you don't like how a fin feels, you can just switch it out for a different set. As a result, we are seeing some very interesting fin set-ups at our local spots, which is great for the future of general surf design.